This is a resin binder used for tempera, watercolor and gouache; unless mixed with egg yolk or other additive, gum Arabic stays water-soluble through the ages. 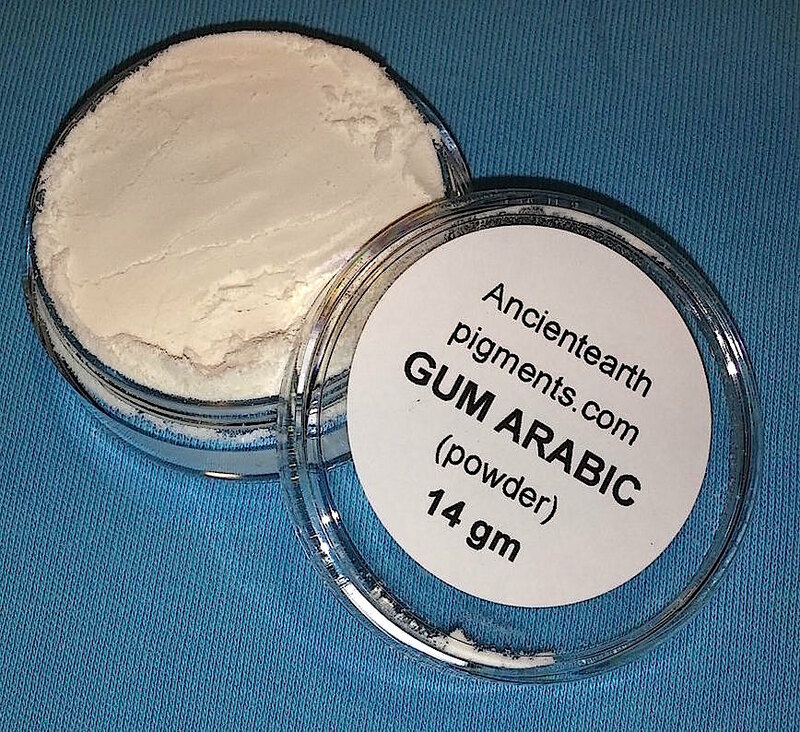 If not interested in mixing dry gum Arabic into a liquid, you can purchase liquid gum in art stores. Making your own is far less expensive. Gum Arabic slowly dissolves and looks like water with resin odor. To keep 6-8 months, add 1drop essential oil to prevent mold from forming and refrigerate. Image: Our finely powdered gum Arabic, ready to be made liquid when needed. Hi! Can this recipe be used to make watercolour paints for dry storage in watercolour pans? It seems like it’s a very ‘liquid/watery’ solution compared to other recipes I used. Yrs, it can be used to make waterrcolor paints for dry storage. Just pour the liquid into the pan & let it dry. This has been done for centuries.